Aura Forma too expensive by half. In many cases you can. However, if you're talking umbral builds, maybe not. Nevertheless, I can't really think of too many 'frames I'd really need multiple aura polarities. Not enough to get too excited by the cost. Mostly, it'd be for 'frames that habitually run Steel Charge where you might want an option to switch to CP for long endless missions. Investing in a Wraith or Vandal variant when a Prisma may drop. WORTH IT? There hasn't been much overlap with the special versions of weapons. I'd work with whatever you get. It's not like we don't time and forma aren't what you'd call hard to come by. I'd be all for a Prisma Karak. It wouldn't effect how I feel about my older Karaks--they all have multiple forma and saw extensive use. Granted, this sort of thing tends to obsolete older variants, but I have no regrets with weapons like the Gorgon Wraith, as opposed to the Prisma Gorgon. More like it's unnecessary in PuGs and can't be counted on being there regardless of what actually happens. Premades with genuine agreed upon goals are a different matter--and I did address that. CP is overrated...or maybe one should say it has a superstitious attraction to those who don't know how the game's damage mechanics work. I constantly see people with this in low level corpus or infested missions where you're facing little armor and/or enemies with low health. Some of this is just a disinclination to constantly swap auras (anything works at low level, after all), but I've seen enough evidence to support the theory that some think it's magic and The One True Choice. It is not. A Kuva Survival Challenge is one of the very few places you'll run into that it is an advantage to have and you know what you're getting into. However, in most other missions on the starchart you don't know what you'll potentially be getting into and it's overshadowed by other aura choices. You simply very rarely see PuGs push towards an hour in survival or something equivalent in other endless modes--places where CP will actually begin to be more effective than other options. If you have a premade and you know you're facing heavy armor, then it's your best choice and you'll make weapons choices dependent on that choice. If you're in a PuG and you know you're facing heavy armor, then you make other choices since you can't count on your teammates bringing CP and your other equipment choices will reflect this--namely you'll be bringing other means of stripping armor and your choice of weapons will reflect that as well. Nightwave: Get rid of "Do X with Friends"
You're not wrong, but it's also not the point. I finished the season without doing any of this, but I would like to do the hour long whatevers, except you have to deal with the hassle of fishing for a new 'friend'--and it is a hassle. 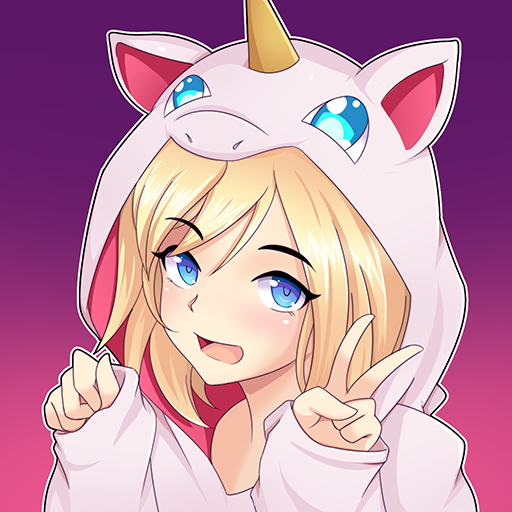 One significant enough that if the choice is asking over and over and over and over again in whatever /chat channel or go do something else, I choose the latter. It's simply an unnecessary modifier. You could say that it encourages people to work on clans and/or join more active ones, but I've seen where that leads in other games. One of the main reasons I quit WoW was the constant hassle of clan shuffling (largely due to player churn--sound familiar?) and the very significant amounts of time that required when all I want to do is go play the game. It is perfectly ignorable, but lets at least see some high level, timed, or round count missions that don't have the friends modifier tacked on. Good...bad...I'm the tenno with the gun. It was always a slightly lesser Braton Prime. Very slightly, and mostly because of the IPS slant towards impact damage. It's a good gun. It always has been and it can be much, much better with a proper riven. Most of the community doesn't see it that way (reasons why are immaterial), so consequently riven values are low. That's good--if you like the gun. The real problem is whatever you say about it the BratonP improves on. However, if you do have a good riven, well, enjoy. It's a good gun and very capable. People come and go far too often to keep any kind of friends list current. I have lots in the list; I see very few. The clan is moribund--I rarely see those still in it and they barely play. Worse, we don't share schedules. I'm not adding random people to the friends list for no other reason than to do this ill-considered challenge. They aren't friends. They might become such, but chances are they will not. You can say the same exact thing about running in PuGs, but without the hassle of fishing for a friend invite. It's...needless complication and adds nothing of consequence. I don't prefer it this way, but it's how the game is. Keeping a clan up is hard work--I've seen it in other games and have participated in it. I no longer have the time and inclination of rolling this particular rock up a new hill. The challenge should apply to any group undertaking it. Ensnare did work. I'd assume all control powers would affect them. I would assume Chaos would. MC might be questionable. I haven't been playing Nyx lately, so I can't say. I don't play Revenant. As far as attack the Wolf himself...I don't see why not. The question would be how much damage they'd do. My guess is it wouldn't be all that much, but every bit helps. I've been trying to lure him into attacking Trinity Prime for a bit. He's been reticent about showing up to that party. The idea is, of course, to link him (Abating Link) and then stand in the fire to give him a good taste of what his allies are dishing out. Standard Link/Blessing Trin operating procedure. It'd be supplemental damage, but it's one thing that makes playing Trin fun, even if it's not her primary way of dealing with enemies. Incidentally, Gara's Mass Vitrify would corral them or keep them away from whatever was inside. I didn't try and freeze them with it--if it happened, I didn't notice. Interestingly, the Wolf seems to seriously dislike large walls of glass. He'd attack the ring in preference to other nearby targets. I was just getting around to trying out Spectrorage when the team forced extraction. Then you've failed in implementing the 7Ps. You can't control who you are with, but you can control how you equip yourself. I don't do Grineer missions without some thought of the Wolf showing up. I'm still a little peeved that MD team bailed like they did. Gara could have taken him. She wasn't ideally equipped, but she did have recourse and she was making headway (she's also tough). This means more attention to the 7Ps. Mostly, you ignore them. This works best with 'frames that can actually tank damage. That's a hint. They can be controlled. I've beaten the Wolf back to his kennel with Khora and she ensnared the pups and they were subsequently out of the fight. That's another hint. Failing all of that, you'll have to be mobile. This lengthens a potentially already long fight, but it means less standing in the fire and less dying. That should go without saying. Ideally, you'll run into him as a Warcry Valkyr modded for radiation damage, accompanied by an Adzara kavat, who will then proceed to tear the whole pack all sorts of new and novel bodily orifices in a minute or two. Cats trump curs. Not I. I'm there for a fight and a fight it'll be. Granted, he's not the most interesting battle, but a bit of preparation means a dead Wolf. The 7Ps and all that. I don't use Strangledome all that much, but I have noticed the enemies jounce around quite a bit. Of course, you're supposed to use your Whipclaw on them and not shoot them... If you're not Khora, I can see it being rather annoying. In that case, I simply don't shoot them. They are under control and there are usually other things needing attention. Any decent Khora should be able to handle her own victims. I play Khora quite a bit and I can assure you I do have something in mind for those caught up in the 'dome when I use it. I just don't see it as a major issue. How do you guys defeat the wolf of saturn six? You don't even need a Glad build to do it. A triple umbral Valkyr will rip him up post haste--assuming correct damage type on weapon and/or claws. I ran into him twice this weekend. The second time was on my 3xumbral ValkyrP. He died very quickly (he was lvl48). Most of the engagement was chasing him around since he initially didn't want to stand and fight. Hysteria wasn't involved; it was pure GramP with a rad build on what is essentially a Warcry Valk. There was an Adzara kavat involved, of course. In contrast, the first time I saw him was on my Gara. This one was lvl54 and the team simply couldn't handle him. Gara wasn't precisely equipped to deal with him, but it was under control when they bailed. In this case, she only really had a Tombfinger that wasn't optimized for Wolf poaching (only had innate rad damage). It was looking like a good 10 minutes or so to kill, but, like I said, the team bailed (MD mission). We don't run from a mangy cur like the Wolf. 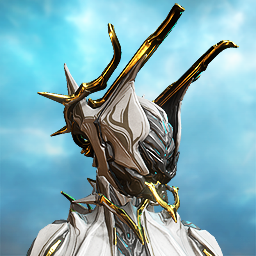 I personally can't recall any serious bug-related issues with Valkyr. There used to be a claws/weapons thing coming out of Hysteria, but that was years ago. This isn't really true, but she is designed around retreating into Hysteria when things get rough and right now its energy cost is excessive. I have no idea why DE still keeps the self-damage component around, but I've never found it much of an issue. 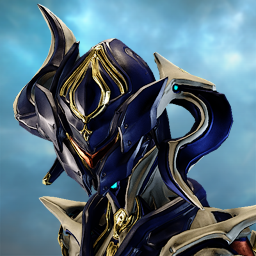 Again, where something like Mesa exists, I don't see why Valkyr is saddled with a crippling energy usage for her primary defense. I think very high DR would be superior to her present invulnerability. I doubt we'd every get 99% (would be nice...real nice), but we might get a universal 95%, which would probably be enough, especially with arcanes and layering with very high armor values. Keep in mind that Gara does extremely well with 90% DR across all attack types and Valkyr has much better base armor than Gara, who only carries slightly above average armor rating. I'd be all for giving Hysteria a substantial duration (on par with Mesa, Gara, and Zephyr) instead of the crippling channeling component and removing the invulnerability for 95% DR across all attack vectors--and maintaining full status protection along with the self-heal. Stack that with her base armor, Warcry, and survivability arcanes and you'll have a very tough kitty indeed. My problem is they exist at all. I have a deep antipathy to cutesy crap in otherwise ostensibly serious games. I realize there's a demographic that swoons over this sort of thing, but catering to it is a mistake if you want your game to continue in the vein of its original design. Of course, in this case it's an acknowledgement of a holiday and a (thankfully) of very short term, so it's tolerable. Barely.